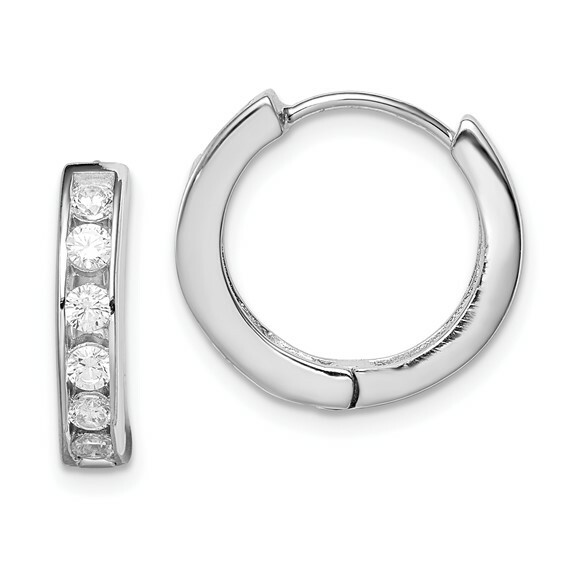 Sterling Silver cubic zirconia hoop Earrings. Weight: 2.92 grams. Earrings measure 9/16 inches tall. These earrings are smaller than a dime.